This is a quick and easy idea for the kids lunches. Hubs has been known to grab a couple for his lunch too. 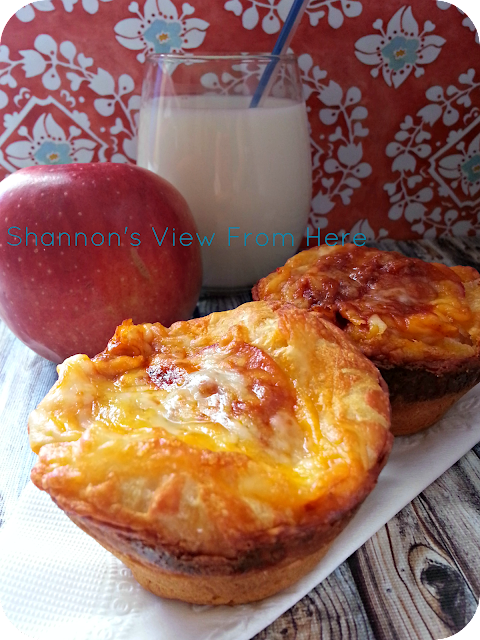 I always have some of these in the freezer ready to throw in the lunch boxes for those extra hectic mornings. You know the ones? The dog is cross legged needing to go out, kid #1 SAYS she brushed her teeth but YOU know she hasn’t, kid #2 pulls out the milk forms she forgot is due today, the school bus just whizzed by and now we are all off to school in the car. We all have mornings like that, right? RIGHT? Anyways…. Here is the nitty gritty how to! Place one biscuit per muffin tin. Create a well in the middle of each biscuit (making sure not to go right through the biscuit). 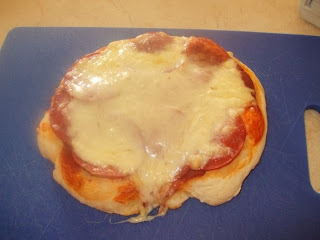 Place 2 pepperoni in to the wells, followed by a dab of sauce and place cheese on top. Place in heated oven for 15 minutes. 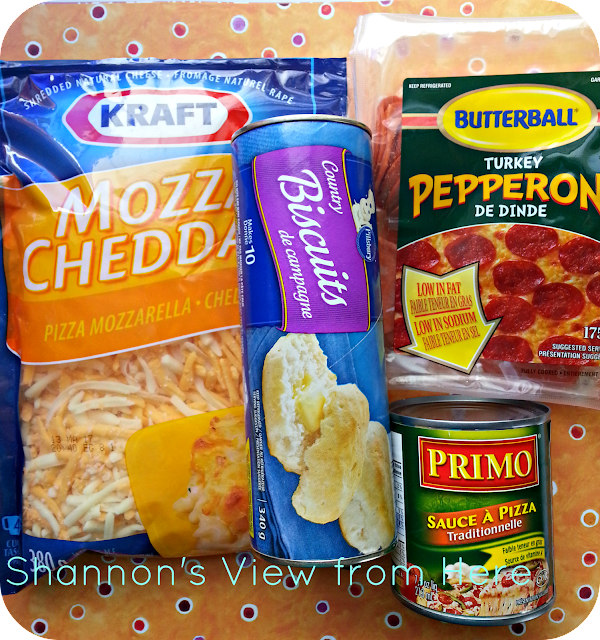 Here’s hoping that this will help you add to your great lunch ideas for your kiddos. What is your go to lunch idea for your kids? What a cool idea! I think I can get my 12 year old to try and make these! FUN! These look great – thanks for sharing! My 2 year old can help with these too! Awesome idea! WOW you just saved me so much time thinking up something new! Great idea, will have to give them a try! What an innovation! Sadly I also never heard of turkey pepperoni, what a great alternative! Those look delicious and easy enough to have in the freezer at all times. I am always looking for great recipes for my daughter that I can pop out of the freezer and heat on short notice. These ingredients are going on my shopping list this weekend! Thanks for posting this. I hope she love them as much as my daughter does! I’m all for recipes that are incredibly easy and quick! These look like something my son can grab on his way out! I’ll be making these today. Mmm, these look delicious! These would go over well with every one in my family! yumm! I think our picky almost 10 yr old might actually eat these! we’ll have to give them a try! these looks amazingly delicious thanks for sharing what a great idea. I love quick easy meals when you in a hurry. My kids love pizza so I’m going to try these. Oh wow that is a really good idea! We will definitely try this, it looks really good. So nice to have these on hand in the freezer. I have to tell you this is a fabulously great idea! My daughter is a fussy eater and there is no doubt this is something she would enjoy. Thank you so much for sharing! This is such a great idea. Perfect for an after school snack. Or even great to toss in their lunches. My daughter would love these, thank you for sharing. Turkey pepperoni tip: Place turkey pep on a napkin and microwave for a min maybe 1.5 min. They become crispy pepperoni chips. My son makes these almost everyday for a snack. Its a low fat low carb option. When I have girls over I make these and put a slice of cheese and half a cherry tomato, the girls love them. This is a very cool idea! I’m going to make some for my grandkids; I know they’ll eat them up very quickly! This recipe looks delicious and your pictures make my mouth water. These are great for lunches. Thanks for sharing your quick recipe the grandkids are going to love this !